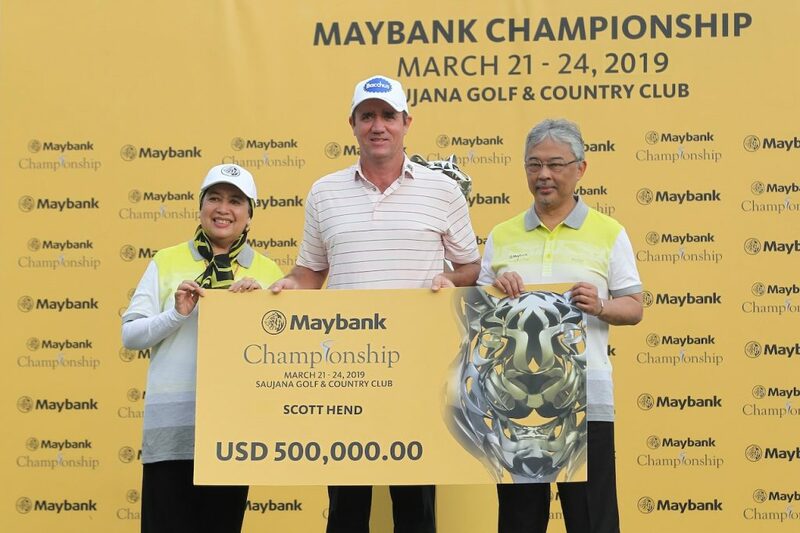 Australia’s Scott Hend returned to his winning ways by clinching his first Asian Tour title since 2016 with his dramatic play-off victory over Spain’s Nacho Elvira at the Maybank Championship on Sunday. “I had to get off to a fast start as I was three shots behind. That’s all there was to it. I was fortunate enough to turn in five under and on the back nine I shot even par. Can’t ask for much more on a Sunday when the golf course is playing quite tricky. “I’m a grinder and a fighter. So is my caddie Tony. We both have the same mental attitude. It doesn’t matter how old we are, we work hard at what we do. Just takes a bit of luck to win. Obviously, I had a bit of luck on the play-off hole. If you don’t have any luck you won’t win,” said the Australia who collected the US$500,000 winner’s cheque and moved into second place on the all-time career-earnings list, and becomes the second player to break the US$5 million mark on the Asian Tour. “What a putt by Nacho. If I was to go out there and hit that putt you would say you would hole it one in ten times. The spirit we played in today was great too. He’s such a nice guy. We were both egging each other on to play well. 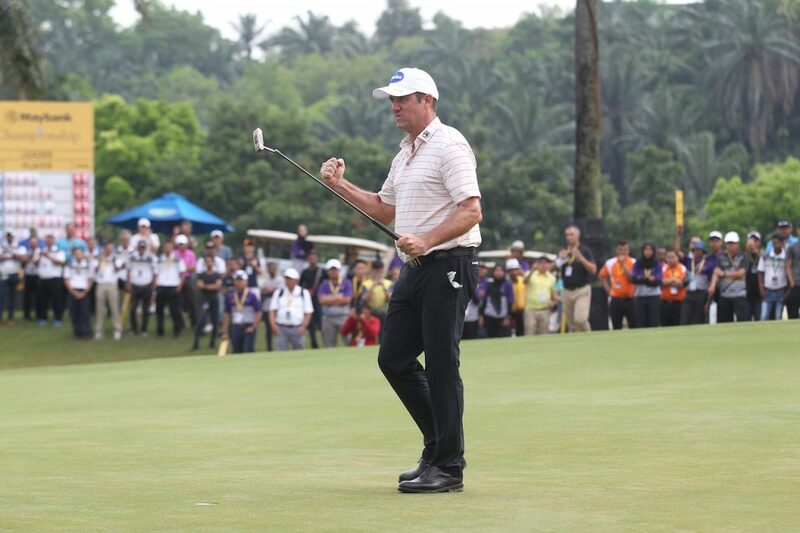 That’s the way we want to play golf,” said the 45-year-old golfer who has appeared in every edition of the Maybank Championship since it was first played in 2016. His best previous result was 29th in 2017. Hend got a lucky break when his tee shot at the first extra-hole hit the base of a tree and ended up on the fairway, while Elvira’s ball went into the fairway bunker. Elvira’s runner-up finish was his second in as many starts after he ended his recent campaign in Qatar in a tie for second in his last outing. “I tried to give it my all on the play-off hole. I just missed my driver a little bit and gave myself a little chance to make birdie, but I’m happy,” said the Spaniard who was making his third consecutive appearance at the Maybank Championship and making the cut for the first time. Off the flash of lightning that disrupted his approach, Elvira said, “It was thunder in a bad moment, but the gods did give me one back with that putt. I think I played great all week, solid, consistent, I’m very happy with that. I’m happy that my game has finally shown a little bit of consistency. It was also the first time he had held a 54-hole lead in a European Tour event. Thailand’s Jazz Janewattananond enjoyed yet another top-10 finish by closing with a 69 to take third place while Johannes Veerman of the United States bettered his previous best result of 12th position in 2017 by signing off with a 66 to finish in fourth place. Oliver Fisher of England and Germany’s Max Kieffer were a further shot back on 11 under par, while four-time Major Champion Ernie Els secured his 300th career top ten finish after closing with a round of 71 to sit amongst a group of six players in a tie for seventh at 10 under par. Malaysia’s Nicholas Fung was satisfied with his 8-under 280 total score and performance today. “I saved par in many of the holes that looked like they could go wrong,” said Fung who carded a two-under 70 for the day to finish tie 15, the best Malaysian finisher in the tournament. Gavin Green also posted a 2-under 70 for a total 5-under 283 score finishing tie 30. 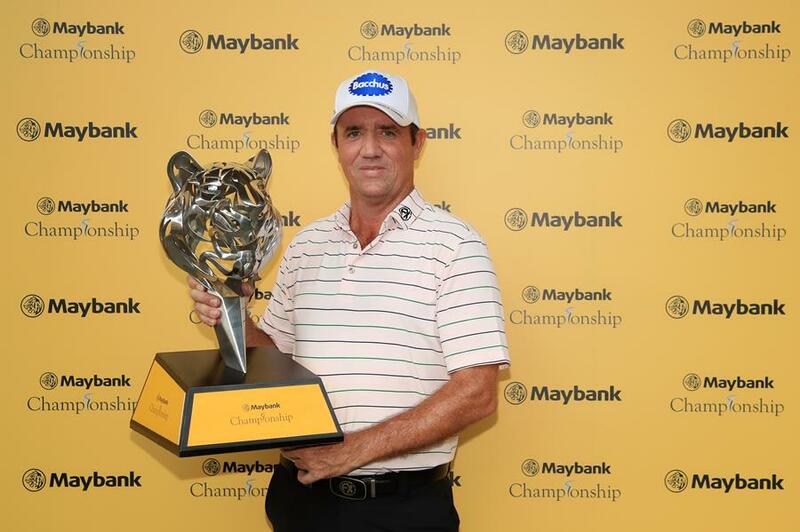 Speaking at the prize presentation, Maybank Group President & Chief Executive Officer Datuk Abdul Farid Alias announced that the Maybank Championship will be back with the fifth edition in 2020 at the same venue.